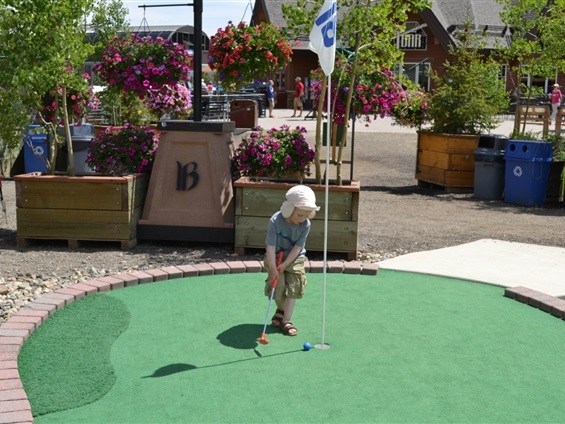 It all started the summer of 2012 in Breckenridge, Colorado when Jessy was just barely 3 his mother, Lena, had a feeling that Jessy would do very well at golf. Then one day he stated "I want to play golf". So she purchased him a kids set of golf clubs and a dozen golf balls. Off Jessy went to the front yard hitting ball after ball. 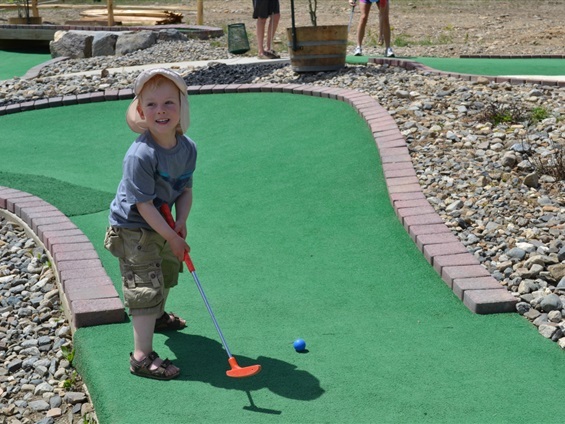 Then he wanted to go to Peak 8 at elevation 9,950 feet and practice at our local Putt-Putt Golf (see above photos) . 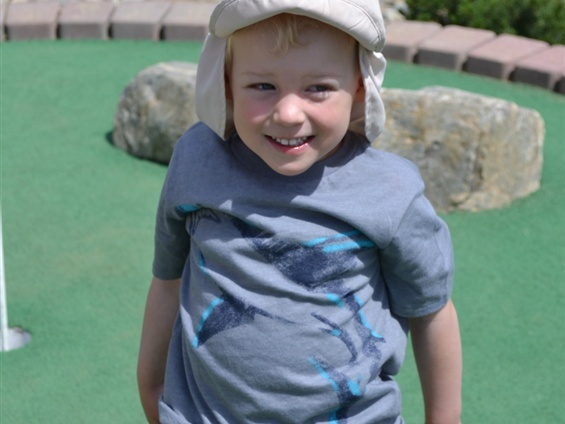 We had no idea that his desire that summer to play golf would be such an important part of his life today. Jessy has two favorite sports, tennis and golf. Tennis has always been with Jessy since he was only two years old and he has grown up playing and enjoying the sport. 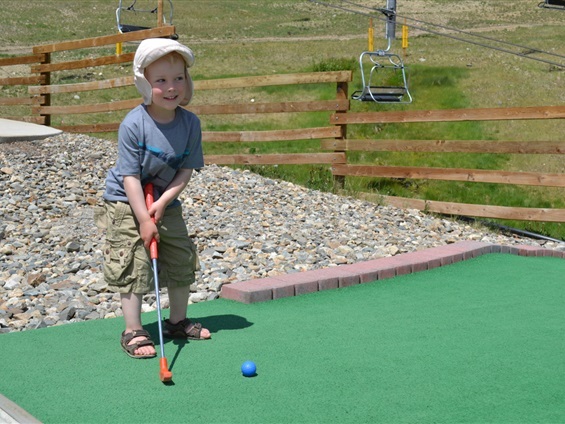 Then golf became his passion at the beginning of April 2013 when he started taking private lessons. 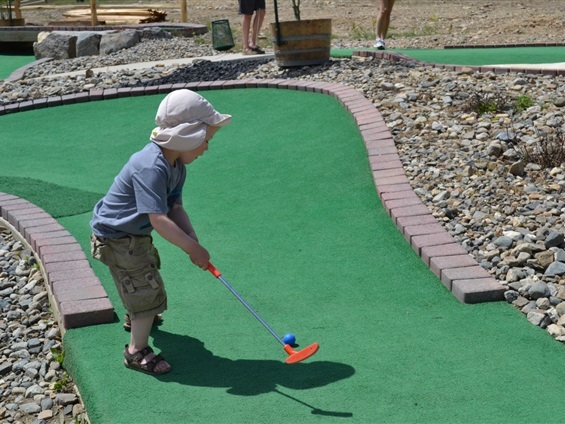 Today whether he is playing tennis or golf we are stopped by individuals who are amazed with his ability to play so well, they ask the same question over and over "who is he and how old is he"? When Jessy arrives at a golf course he feels like he is in his element with the course and the staff, plus everyone knows Jessy so he feels happy to be there. 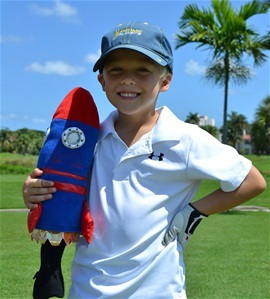 Jessy's received his golf nickname "The Rocket" because he rockets balls consistently down the middle over 220 yards. In the picture above is the rocket that covers the head of his driver. Jessy,So great to see you doing so well in golf. I work with your Dad and I ask after to you often. Way to go on the World title!